Information Detailed construction design of the Ginder's Square All-wheels Family Park is currently underway under the direction of the Town of Bridgewater. 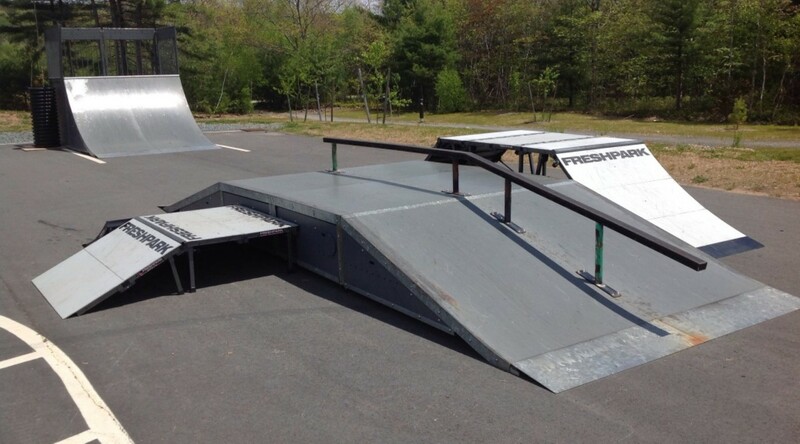 The design process began a few years ago when the Smart Skate Committee, a committee of Bridgewater Development Association’s Youth Action Team at the time, contracted with Spectrum Skatepark Creations to Design the park. President of Spectrum Skatepark Creations, Jim Barnum, asked that local skateboarders become involved in laying the guidelines for a design. 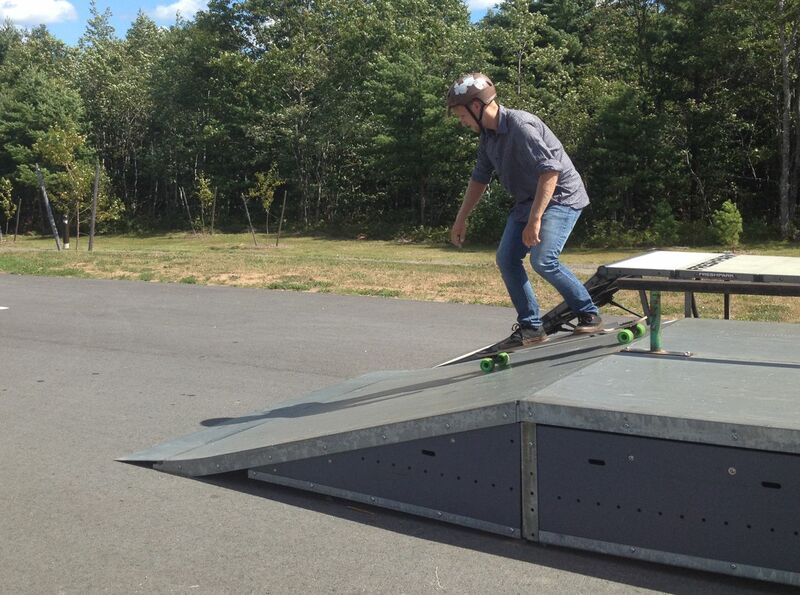 Bridgewater’s skatepark design began with a wish list developed by a group of local skateboarders and community supporters, who formed a design committee. Jesse Watson, owner of Homegrown Skateboards, skater Wally Gow, and architect with a skateboard background, Logan Amos, co-ordinated with Ida Scott and Jim Barnum to narrow down the design criteria. Several designs were presented by Spectrum Skatepark Creations and by Logan Amos. Logan worked closely with Jim Barnum to finalized an acceptable design. While Barnum developed a park design, Amos also informally worked on a separate design out of personal interest. As the designs were presented, the group recognized benefits within both designs and Barnum allowed the process to become a combination of design ideas. The combined efforts of architect and skatepark designer resulted in a hybrid of flowing transitions and street style obstacles. The general layout establishes two main platforms on either side of the parks footprint. One side offers a large flat area with ledges, banks and flat ground obstacles. While the other side offers a split level terrain with faster slopes and transitions. Both sides are seamlessly connected by a valley of banks and transitions, providing comfortable spacing between the fast and high areas, and slower more technical obstacles. While the park includes Ida Scott’s site requirements of a Pavillion and connecting trails to the Lunenburg County Lifestyle Centre, the design uses the 9000 sq. 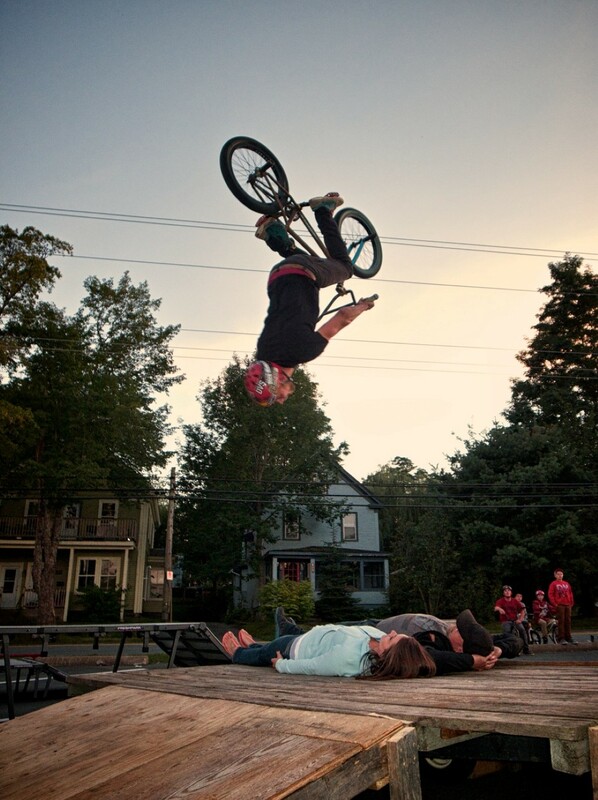 ft. area to the fullest potential and incorporates a large variety of obstacles and areas for all types of bikers, skaters and local community participants. The plan is to provide landscaping over time which ensures that the skatepark is located in a park like setting.